TYI Day 3: Representing You « It's For My RP Spec! 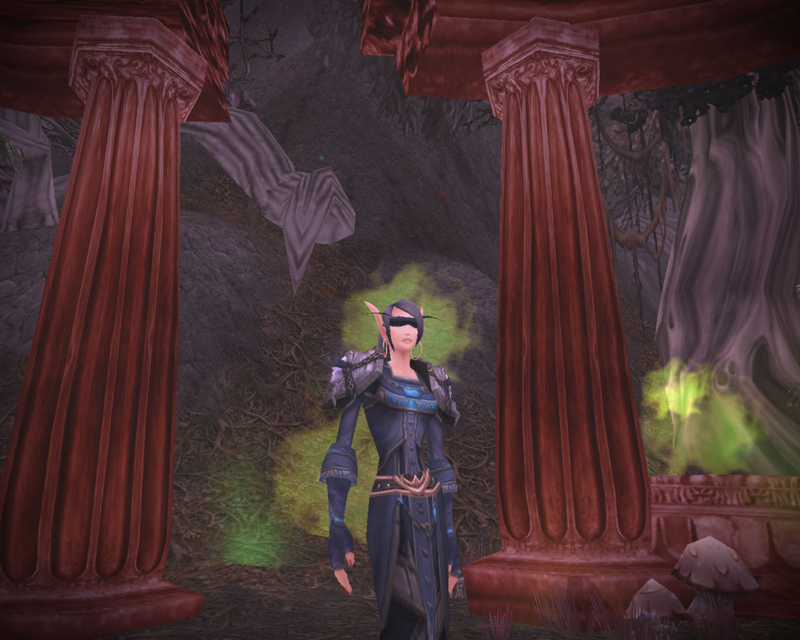 There exists a place in the game where I can have what I always wanted… Tanwen in Absolution with a Cursed Vision of Sargeras. To be fair, this exists during a quest in Felwood and goes away when you turn it in. So I feel this screenshot represents Tanwen the most… her Absolution is the healy kind but there’s a certain, uh… aura… about her with that blindfold on. Yes, yes, I know I have a ton of Alliance characters I post about here, too. 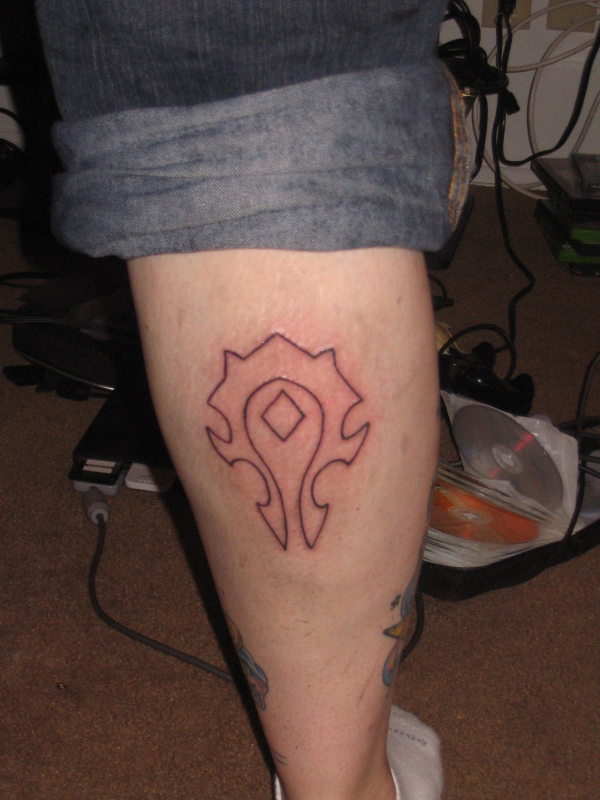 But my heart belongs to the Horde. The tattoo in general represents quite a bit, though, regardless of the faction symbol. It represents thousands of hours (on Real Tanwen, for example, over 4200) spent working on “virtual” goals in a “virtual” world with “virtual” people. But while the game is just a game, the people are real. People I talked to on a regular basis, people I have met, people whose houses I have been to and will visit again. The beauty of WoW is that the idea of slaying dragons draws you in but the people keep you there.